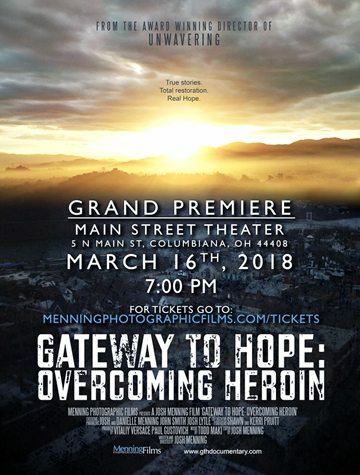 These are just two of the haunting experiences shared in a new documentary, “Gateway to Hope: Overcoming Heroin,” produced by Menning Films and set to be released at 7 p.m. March 16 at the Main Street Theater in Columbiana. Director-producer Josh Menning is from Leetonia and is in his third year of film making, with his previous faith-based film, “Unwavering” having been named Best Feature Film at the 2017 Christian Film Festival, winning 11 awards, including best director and best actress. He had worked with local teacher John Smith, co-producer and actor in Unwavering, who had had a conversation with Josh Lytle, vice president of Family Care Ministries, which offers a variety of programs to those with addictions. Smith and Menning had talked about a project revolving around the heroin situation, and came up with the idea for the new documentary after city officials posted a photograph online depicting a child in the back seat of a vehicle in which two adults were slumped over from overdoses. “As soon as the viral photograph went out there, John said, ‘I think the time is right,'” Menning said, and filming began in January of last year. “It’s going to show people there is real hope to overcome addiction,” Menning said of the documentary. “We are told, ‘Once an addict, always and addict,’ but once you meet Josh Lytle, you see that’s not really true. That’s the message we’re really promoting with it,” Smith said of the film. 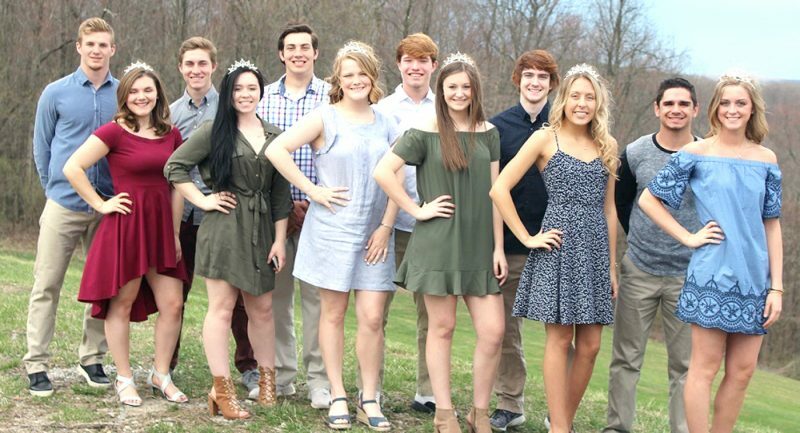 The documentary was filmed primarily in East Liverpool but also in Wellsville, Steubenville and in Princeton, W.Va. at the Teen Challenge program Lytle credits for bringing him from death’s door to the man he is today. The film’s title ties the themes of hope and new beginnings with the city being the Point of Beginning to the Northwest and the beginning of a relationship with God, according to Menning. In an hour and 29 minutes, the film looks at the lives of addicts, telling how they became involved with drugs, how they hit rock bottom, the rehab attempts they made, and finally, how they broke that addiction through faith in God. “We never set out to disparage any rehab; we set out to show an additional means to overcome these addictions that the public would not necessarily get to hear about. We wanted to present a faith-based approach,” Smith said. Lytle said the documentary also shows a side of addiction sometimes not seen: The effect on the addict’s family and how those families are restored when their loved one’s addiction is addressed. Menning said there are many documentaries about heroin and addiction but they don’t offer hope on breaking that addiction,while Gateway to Hope does offer that, especially through the stories of the recovered addicts. The documentary also includes interviews with public officials such as East Liverpool Mayor Ryan Stovall, who talks about the drug problem not being in just metropolitan areas, and Service-Safety Director Brian Allen giving his ideas on what is needed to address the problem at a government level. The documentary’s trailer has already been seen by hundreds of thousands in dozens of countries, and Menning said his plan is to reach out to several theaters in the Youngstown area and the Pittsburgh and Cleveland radius to have the documentary aired. Tickets at the premier in Columbiana are $15 each, and Menning said a portion of proceeds from ticket sales will go toward Family Care Ministries’ programs aimed at addictions, with Lytle pointing out the facility does not charge for its classes. Other proceeds will be earmarked not only to defray production costs for this documentary but for future faith-based films and projects Smith and Menning are eyeing. To watch the trailer, purchase tickets or obtain more information, go to www.gthdocumentary.com.